What’s the most highly anticipated movie the year? Of course it’s Star Wars Episode VII: The Force Awakens, the first movie in the series after Disney’s purchase of the rights to Star Wars from George Lucas in 2012. While Star Wars fans are certainly excited for the next episode, many are wondering just how well director J.J. Abrams will fare in his Star Wars debut on December 18th. 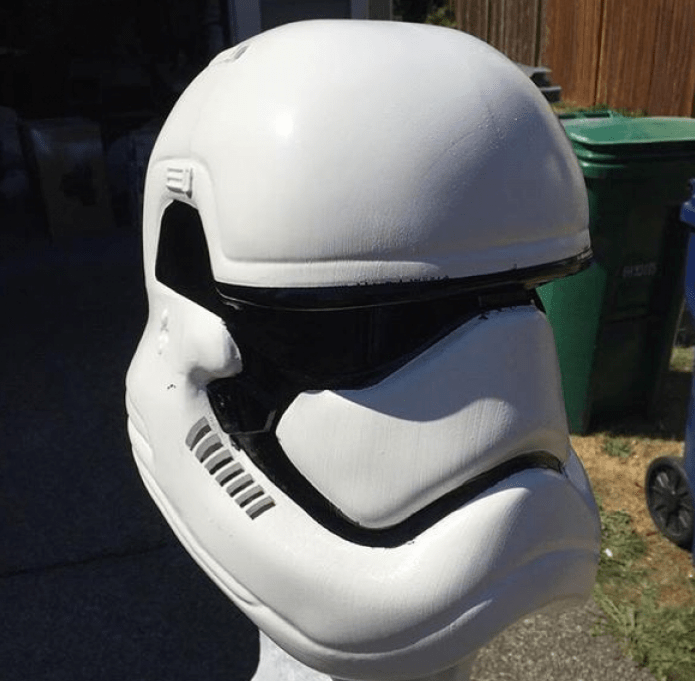 Whether you are a Star Wars fan or not, since you’re at this site you likely are a fan of 3D printing, and what better way to enhance the excitement surrounding this upcoming film than with one of the more elaborate 3D printing projects we have seen in a while? 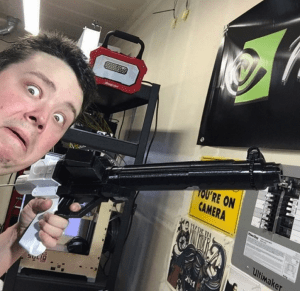 You may remember Jerry Berg, aka Barnacules, who is a bit of a YouTube sensation himself. Back at the end of last year, we partnered with Barnacules on a video in which he polished a handful of 3D printed bronzeFill ‘Bitcoins’ using various methods. Barnacules is now back to his old 3D printing habits, this time working with MyMiniFactory on a project which can only be described as awesome! 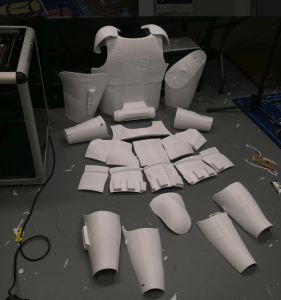 Over the last several months, an entire Star Wars Episode VII Stormtrooper suit has been fabricated, which he has been chronicling on his YouTube channel over the last few months. 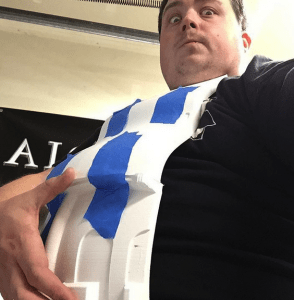 After lots of printing, and some incredible design work on the part of MyMiniFactory, we are told that this suit is finally complete and will be officially unveiled at PAX Prime in Seattle this weekend by Barnacules himself. 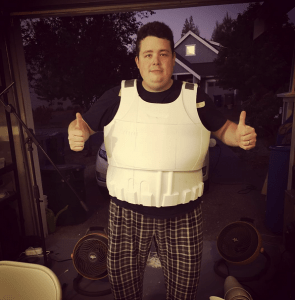 The suit–which is the work of Lloyd Roberts, the lead designer on the project, who also happens to be one of MyMiniFactory’s most popular 3D designers–was created in pieces to specifically fit the build of Barnacules. Roberts was certainly not the only one who helped out on this mindblowingly awesome project. Another MyMiniFactory character artist named Francesco Orrù put his talents to use on the project as well, using Zbrush. While all the components making up the Stormtrooper suit have not been publicly released and have remained under wraps, MyMiniFactory has made two key parts of the costume available on their website for free download. 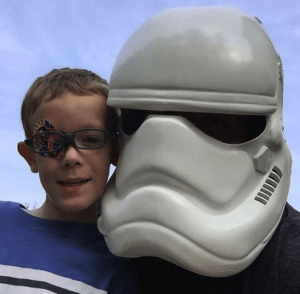 The Stormtrooper helmet, designed by Roberts, with some special help from his friend Ricardo Salomao, is quite impressive and will certainly get all you Star Wars fans out there a bit more excited for the film’s December release. Additionally MyMiniFactory has made the Stormtrooper TFA blaster also available for download on their site. 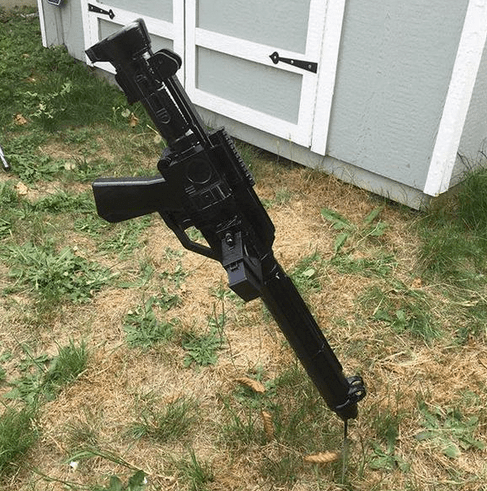 The weapon, which was designed by another very popular MyMiniFactory user, Kirby Downey, looks pretty spectacular if you ask me. While we are sure that there will be plenty of quality images of the 3D printed suit over the next couple of days coming from PAX, we were able to obtain a handful of pictures so far, which you can see above as well as in the gallery below. Also we highly recommend following Barnacules’ YouTube channel where he is sure to show off the suit in its entirety very soon. Let us know if you happened to attend PAX and bump into this Barnacules wearing this incredible piece of work. What did you think? Discuss in the 3D Printed Stormtrooper Suit forum thread on 3DPB.com.